Polish artist Barbara Licha, based in Australia, is interested in the complexity of the human condition and explores parallels between actual people and the ones in her imagination. 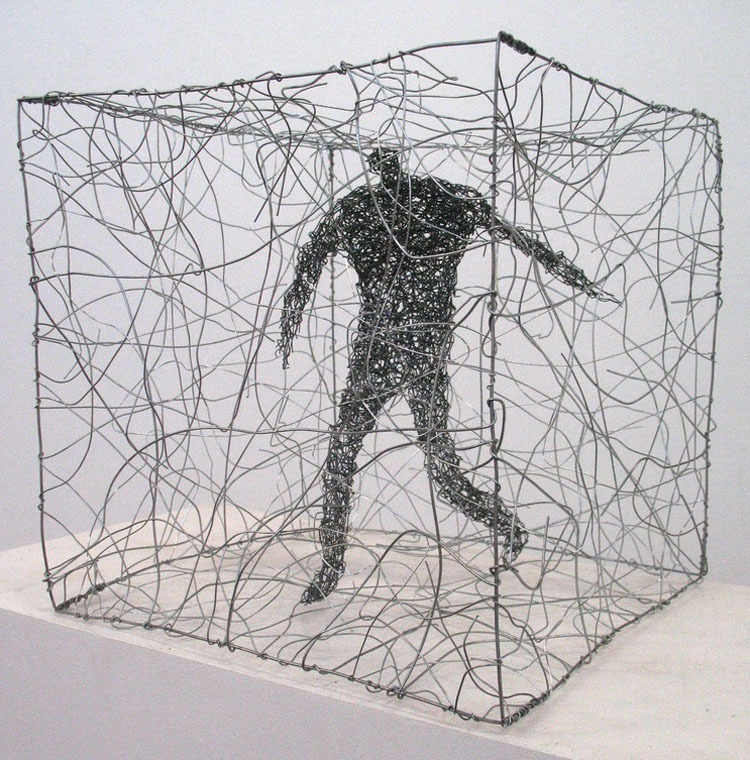 I particularly like her wire figure sculptures with their gestures in their tangled worlds or boxes. In her work, Licha tries to convey what she sees inside people: their wishes, dreams and desires. You can see more of Licha’s work here and here.